You say Masala Popcorn...we say Torrontés! I was walking down the farmers market close to home this past Saturday morning. While chewing on some farm fresh cherries, I was strolling along under the bright sun, enjoying the sights and sounds of the market. Then I was suddenly transformed to my childhood days walking on the island grounds for exhibitions and fairs in Chennai. The reason was the aroma, sight and sound of freshly made popcorn! I would wait all year for the exhibition day in Chennai for 2 reasons: the amazing rides and masala popcorn! 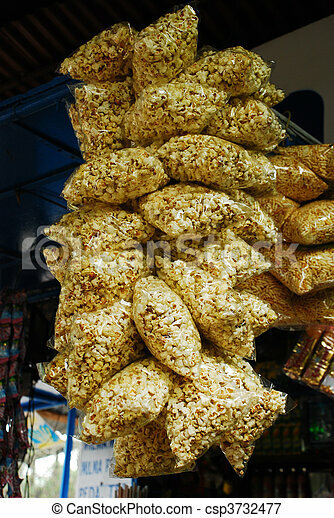 Masala popcorns are packed in plastic packets and are sold on the streets and also movie theaters of the Chennai city. But, something about these trade fairs and masala popcorn...it was magical how the entire exhibition ground would smell of popcorn and fried rice papadams. I did buy a huge serving of kettle corn from the farmer's market, but I just had to make the masala popcorn with all these nostalgic thoughts. And so I did just that. With all the butter and salt in the 'Americanized' popcorn, I can see how a beer might just be perfect. But, with the Indian masala popcorn, it is a whole other story! There is turmeric powder, very little chilli powder, garam masala (blend of several spices) and salt to taste. So every corn kernel that transforms in to pop corn is doused with all these spices. When I started thinking about wine pairing with all these spices in mind, I spotted a Torrontés (from Salta, Argentina) that caught my attention. The wine bottle showed 85% Torrontés and 15% Riesling. This definitely intrigued me. And the wine shop employee mentioned that this wine had a decent amount of body - which convinced me that this wine can handle gracefully, the spices in every bite of the masala popcorn. This was a very unique Torrontés because it had more body than the usual. The first taste notes I got on both my nose and palette were those of herbs, lemongrass and some citrus fruits. But the most amazing part for me was, even though the Riesling was only 15% of the total composition, there was a clear, bold pear and apple flavor profiles so typical of a Riesling. The pop corn looked and tasted just like I remembered. I even added some Chaat masala to the spice mix in the oil before throwing in the corn kernels. The pop corns and its spices were beautifully accentuated by the Torrontés and Riesling. It was a beautiful hot day to munch on spicy masala pop corns paired with a chilled Torrontés. Just as always, I could hear the kids screaming while enjoying the rides in the Chennai fair while I kept munching on the masala popcorn. Except now, I was also sipping on this beautiful wine from Argentina! Life is good... and it gets even better with fond memories and good wine. Salud!